October | 2013 | Welcome to the world of NECCO! This Sunday, October 27th, NECCO will proudly be appearing at The Shops at the Prudential Center’s annual PRU BOO in Boston! The PRU BOO is a fun family event where children can trick-or-treat in many of the Prudential Center’s stores, filling up their bags with a great mix of yummy NECCO candies! Trick-or-treat bags are available for a small donation of $4 and all proceeds from the day directly benefit The Home for Little Wanderers charity, an organization whose mission is to ensure the healthy behavioral, emotional, social and educational development and physical well-being of children and families living in at-risk circumstances. 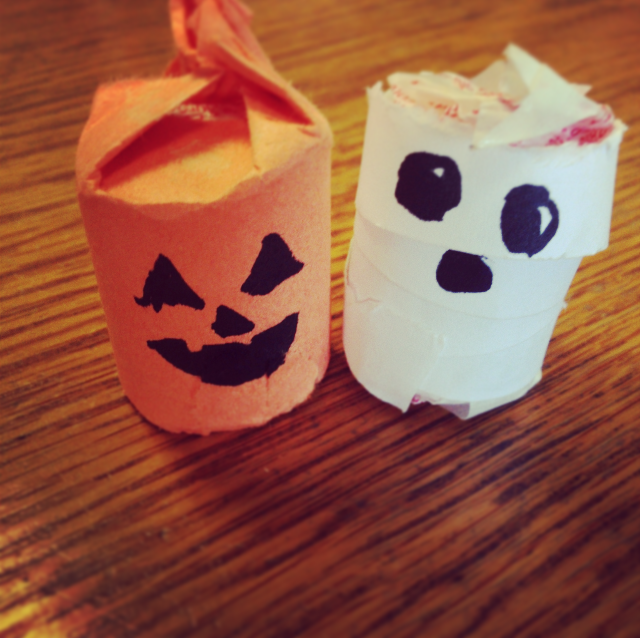 In addition to providing the sweets for trick-or-treating, NECCO is also excited to be participating again in an exciting craft event where we will be making these cute little NECCO Wafer Pumpkins and Mummys! There will be several other great companies in attendance to participate in the exciting festivities of the day, so if you’re in the Boston area, dress up the kids and head to the Prudential Center for some spooky fun! NECCO is so proud to sponsor such a wonderful family event for our Boston community and can’t wait to see everyone there on Sunday! Categories: Events, Halloween | Tags: Boston, candy, candy buttons, chocolate, Clark Bar, Costumes, crafting, events, family, fun family event, Halloween, NECCO, necco wafers, new england confectionery company, PRU BOO, Prudential Center, Sky Bar, Slap Stix, Sweethearts, Trick or Treat, Tropical NECCO Wafers | Permalink. NECCO Wafer Pumpkins and Mummys! Halloween is a magical holiday for the little ones. It captivates their imagination and is filled with exciting activities and of course, candy. In celebration of this spooky season, we’ve created a quick fun craft that your kids will love using our most classic sweet: NECCO Wafers! Grab a few supplies and get to making these cute little pumpkins and ghosts that your kids will love to hide in all corners of the house to scare and surprise everyone! Take one Jr. NECCO Wafer roll and size it length-wise on the orange construction paper. Leave at least ¾” additional paper for the top of the pumpkin. Cut the orange construction paper into a strip at the marked length in step 1. Cut as many strips as pumpkins that you’d like to make. Wrap the strip of orange construction paper around the Jr. NECCO Wafer roll and cut it so that it closes neatly with only a small overlap. Line up the paper so that one edge meets the edge of the roll. You will want the overhang on one end only so as to to twist and make your pumpkin top. 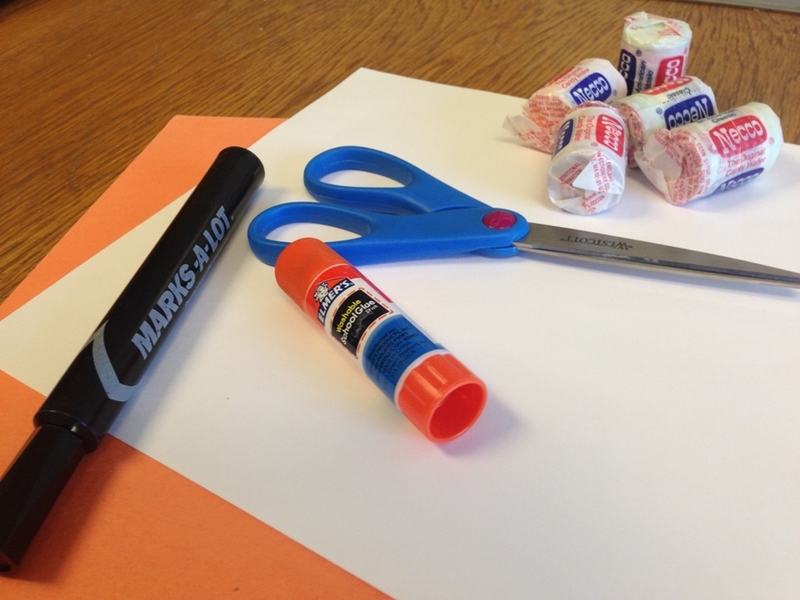 Glue the orange strip to the Jr. NECCO Wafer roll using the glue stick. Glue the end of the strip to itself at the overlap to make sure it stays secure. Draw on your silly jack-0-lantern face! Cut the white paper into long thin strips about ½” thick. These will be your Mummy wrappings. Cut as many as you’d like. Each Mummy should only require one strip. Place glue on one end of the strip and secure to the bottom edge of the Jr. NECCO Wafer roll. Wrap the strip around the roll in an uneven fashion, aiming to look like a Mummy’s wraps. Glue the other end of the strip to the roll. It does not need to be glued throughout as the moving loose strip in the middle makes it more Mummy-like! Draw on your best eery Mummy face! Categories: Crafts, Halloween | Tags: Boston, candy, crafting, crafts with kids, diy, ghosts, Halloween, Halloween Candy, Halloween crafts, holidays, jack o lanterns, mummys, NECCO, necco wafers, new england confectionery company, nostalgia, pumpkins | Permalink. 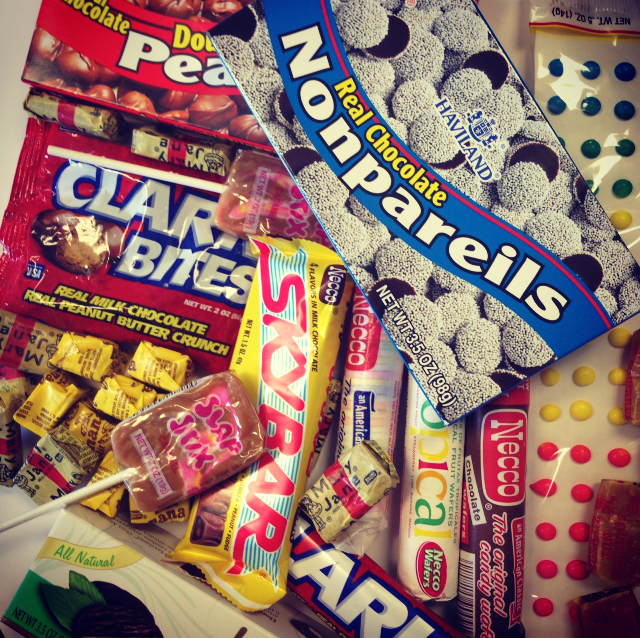 Which NECCO candy are you? Categories: Uncategorized | Tags: candy, candy buttons, chocolate, Clark, Clark Bar, Clark Bites, Haviland, Mary Janes, NECCO, NECCO candy, necco wafers, new england confectionery company, nostalgia, personality quiz, quiz, Sky Bar, sweets, Thin Mints | Permalink. Dessert time is the best time – no debating it! 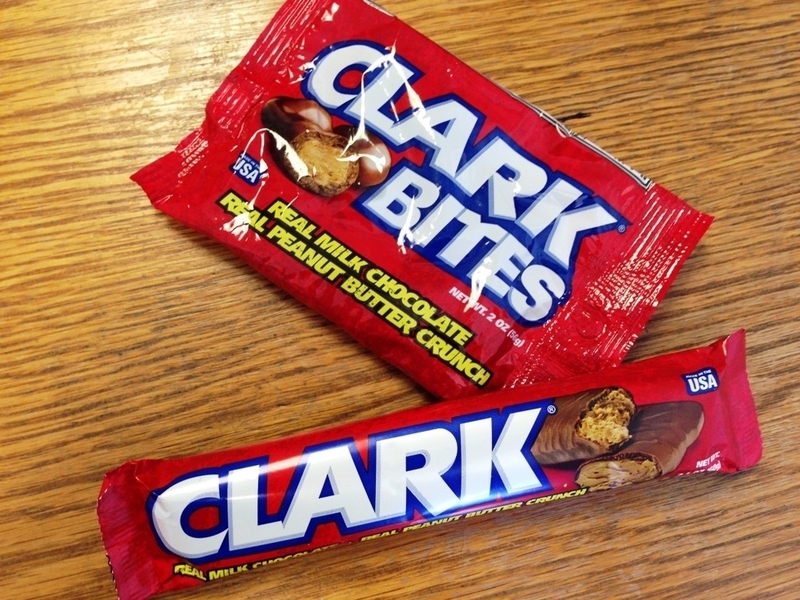 Our favorite candies to create sweet indulgences with are our Clark Bar and Clark Bites. The real chocolate, real peanut butter crunch of these chocolate sweets is rivaled by none, which makes them the perfect ingredients in so many recipes. 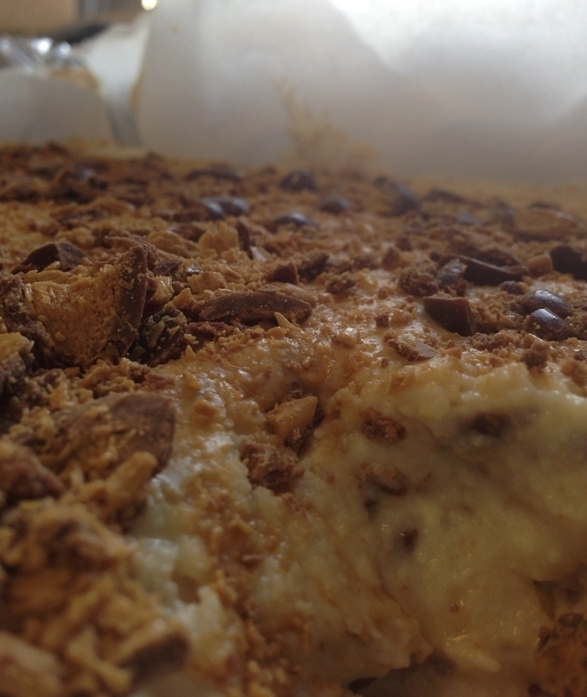 Also, did we mention it’s NO BAKE! That’s right, no setting the oven to 350, no burning those finger tips… just cool, sweet, delicious Clark fudge pudding. 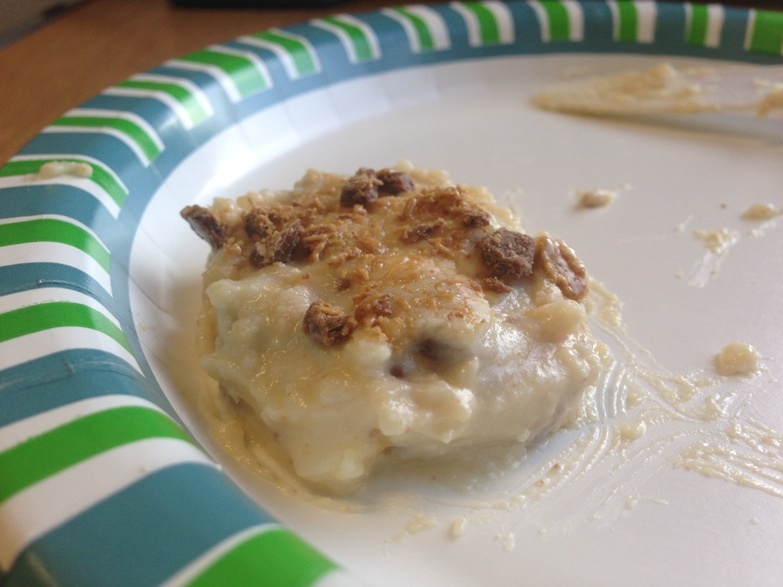 Chop Clark Bars/Clark Bites finely with some larger pieces scattered throughout. 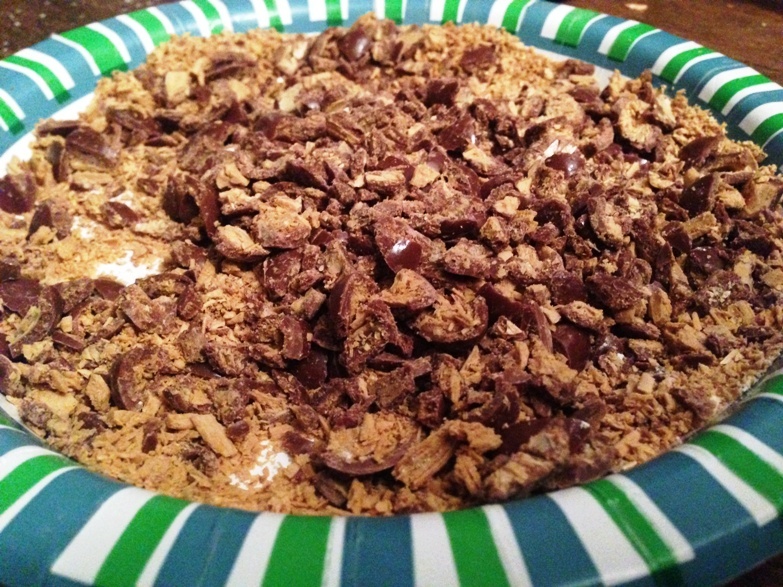 Mix the powdered sugar, dry milk, water, vanilla extract and softened butter and cream cheese in the large mixing bowl. 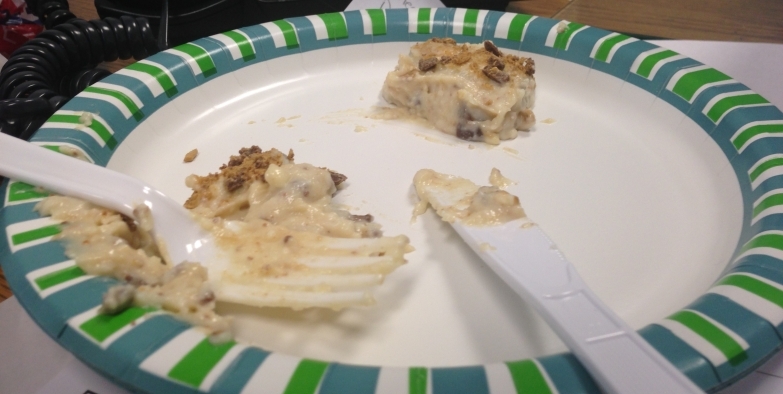 Add in most of the chopped Clark Bars/Clark Bites to your batter, leaving some pieces aside for topping. 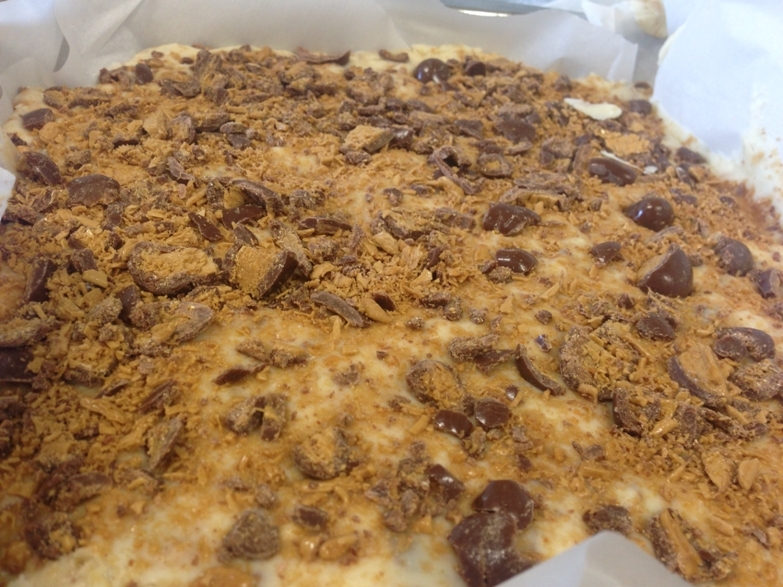 Spread the batter evenly within your baking pan and sprinkle the remaining chopped Clark Bars/Clark Bites across the top layer of the batter. Chill in the refrigerator to allow for some setting. 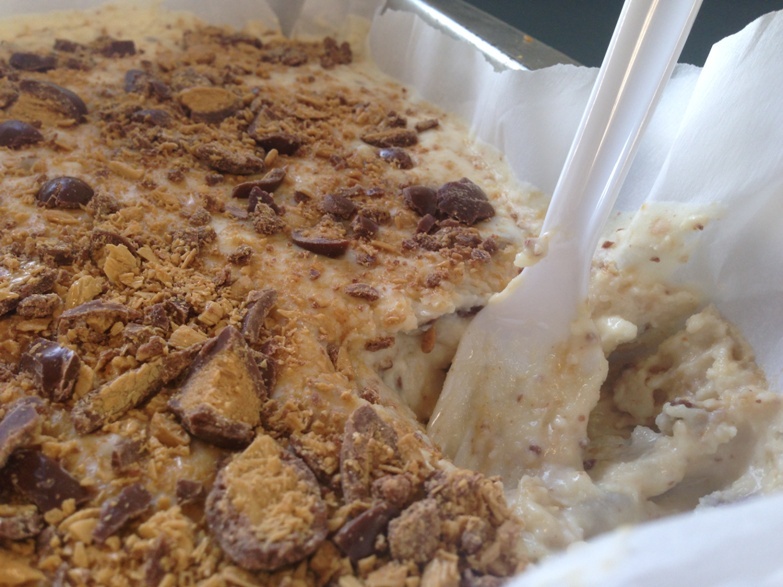 Start scooping that sweet Clark Fudge Pudding! Categories: Recipes | Tags: baking, candy, chocolate, Clark Bar, Clark Bars, Clark Bites, Clark Fudge Pudding, dessert, food, fudge, Fudge Pudding, NECCO, new england confectionery company, no bake, peanut butter, pudding, sugar, sweets | Permalink.